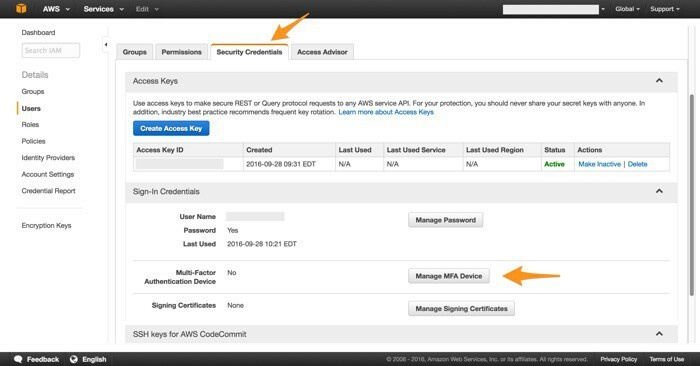 Want to get started in Amazon Web Services but worried about cloud security? 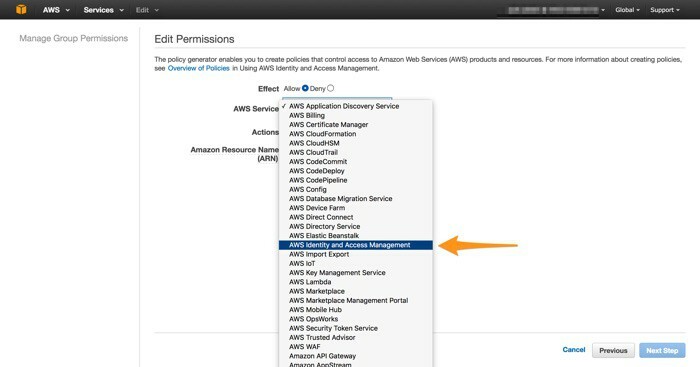 This step-by-step guide shows you the right way to get started in Amazon Web Services. 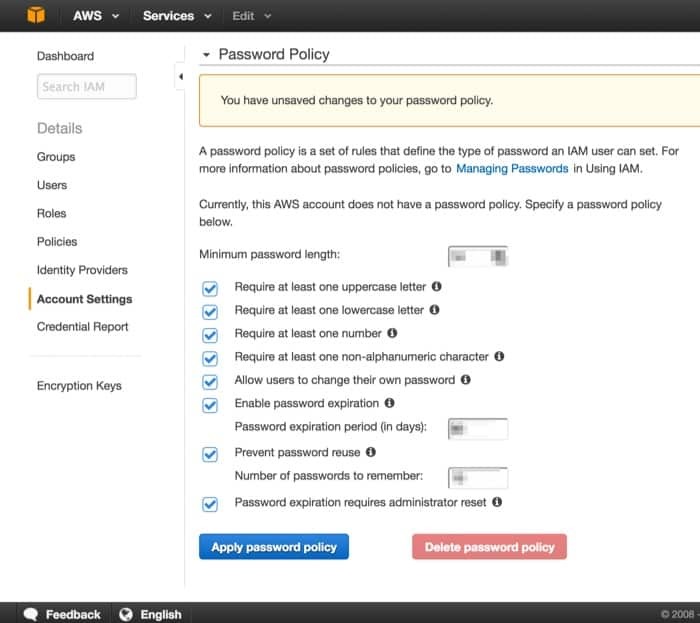 Cloud security is a must! 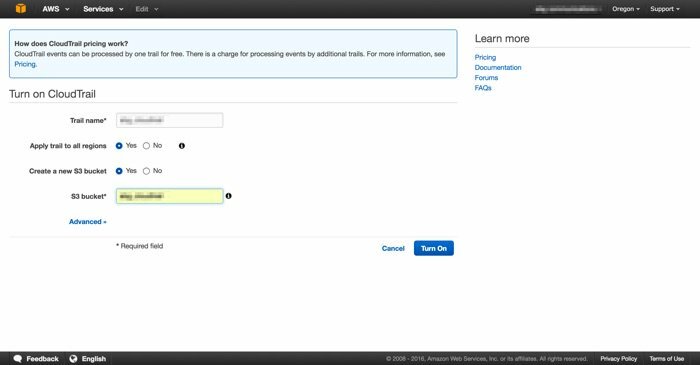 Go to https://aws.amazon.com/ and click on the “Sign in to the Console” button. Follow the steps to set up your account and your billing information. Before we start configuring anything, let’s set up logging. Logging is essential if something goes bump in the night (or if you’re hacked). 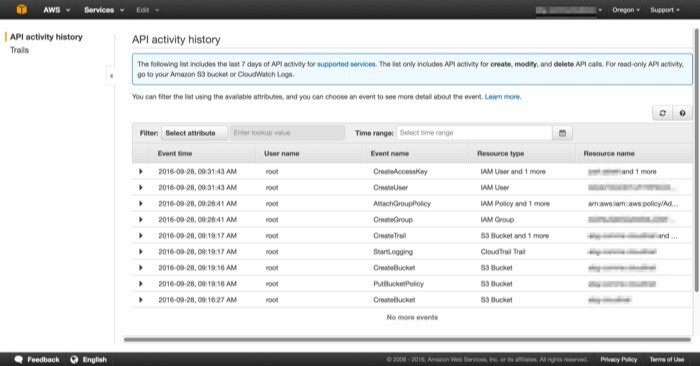 Amazon offers CloudTrail to log everything your users do when they’re logged in to the system. One other thing – pay attention to your region. “Regions” are the geographical areas where Amazon has data centers. In this case, I’m working in the Oregon region, which you can tell at the top of every page. 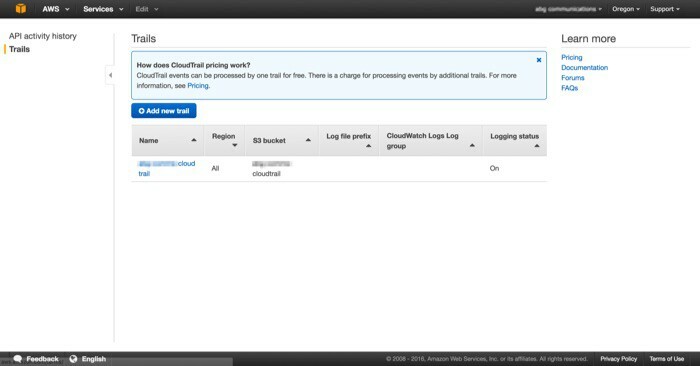 Make sure that you’re setting up CloudTrail in the main region where you’ll want to set up your servers. Once you’ve set up logging, turn it on! Great! Now you know that Amazon will log everything you do. We’ll show you how to view the log in a moment. This sounds scary, but it’s actually quite simple. “Root” is the first account you get. It has god-like powers. It’s something that you never, ever want falling in to the hands of attackers. To protect it, we’re going to create user accounts that we’ll use for our day-to-day work. You’ll see a screen that looks like this. You’re going to get very familiar with this screen! 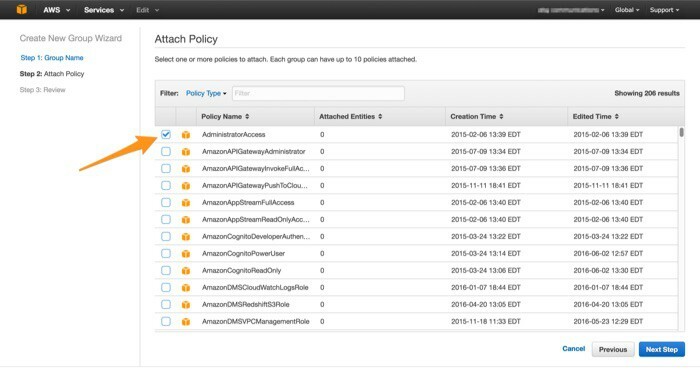 Under “Attach Policy,” select “AdministratorAccess”. Review what you’ve created, then click “Create Group” to finalize. Enter the usernames, following a specific convention (e.g., josh.ablett, jablett, joshablett, any are fine). 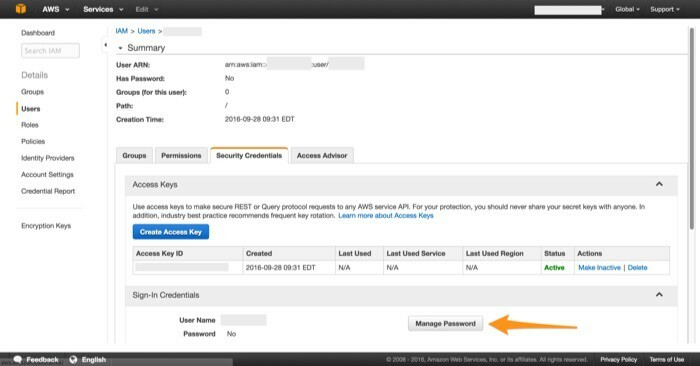 IMPORTANT: ONLY check “generate an access key for each user” if your users will be making API calls via code to AWS. If you don’t know what this means, then uncheck this box! On the next page, you’ll see a menu to get your security credentials. YOU NEED TO STORE THESE IN A SAFE PLACE. If you lose them, or if they’re compromised, game over. We use and recommend LastPass or SpiderOak for storing sensitive credentials. When you download them, they will show BOTH a “Access Key ID” and a “Secret Access Key”. Store both of them, as you’ll need them both. If it’s working, now you should see all the things you just did to create new users. Uh oh. See how all of the users are “root”? Bad cloud security! Viewers of Mr. Robot or Person of Interest will tell you that having “root” access is a bad thing. If something goes wrong, I can’t tell who actually did it! From this point forward, it’s time to switch users. The “user security credentials” you created above were only for programmatic access. They’re not a password. Now you need to create a password for the user. Choose the options you want. Follow strong password measures. 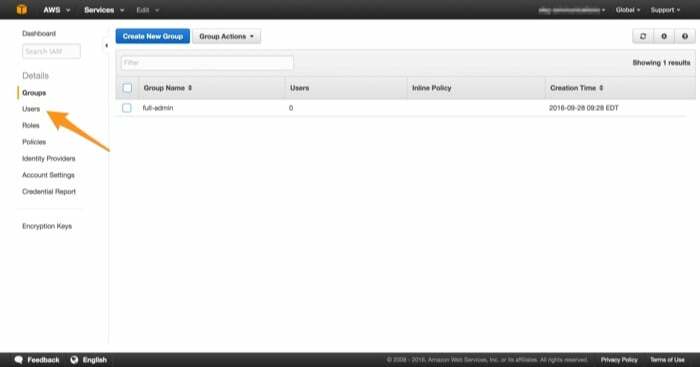 6) Assign your user to the Admin group. Now let’s give your secure cloud user some powers. If you forget to do this step, your new user won’t actually be able to do anything. 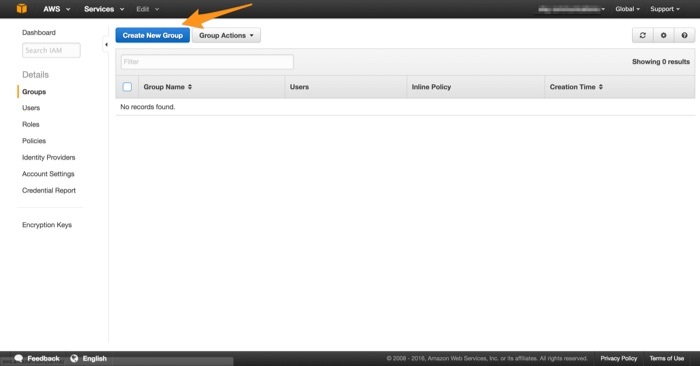 Click into the group that you created that contains the admin privileges. Next, we need to set up multi-factor authentication for the root account. Multi-factor authentication is one of the most important controls for ensuring cloud security. Multi-factor authentication makes it even harder for attackers to compromise your account. A hacker would have to have your username, password, AND mobile phone to get access. 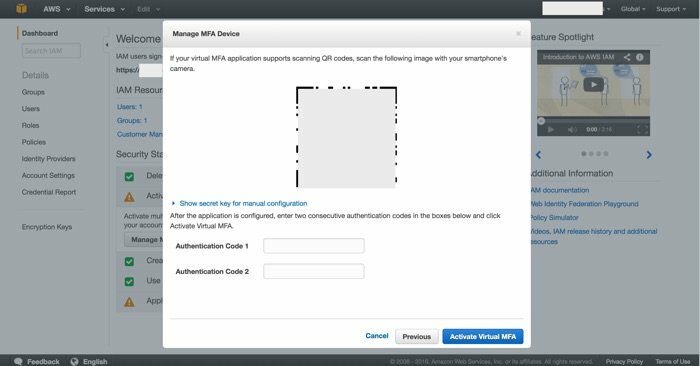 If you have a smartphone (like iOS, Android, or Windows Mobile), use a virtual MFA device. This is an app on your phone that generates a code each time you log in. We like Authy, though Google Authenticator works too. 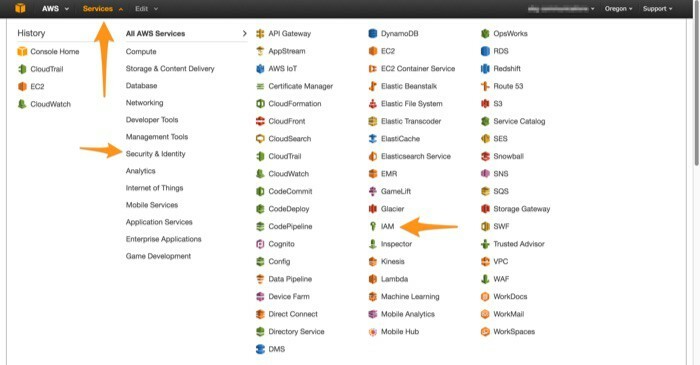 AWS will lead you through a wizard. You’ll need to install the app on your phone first before you proceed. 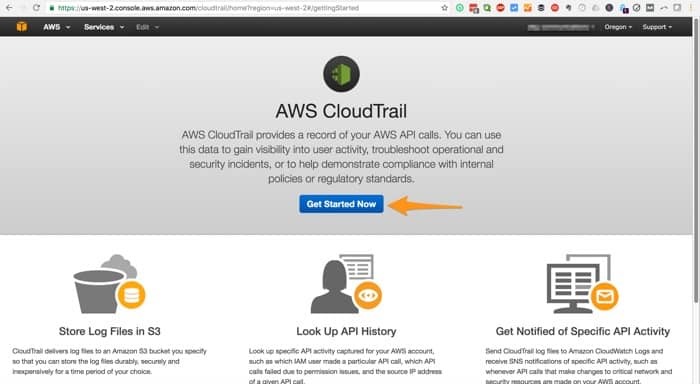 AWS will show you a QR code which you’ll scan within the app on your phone. 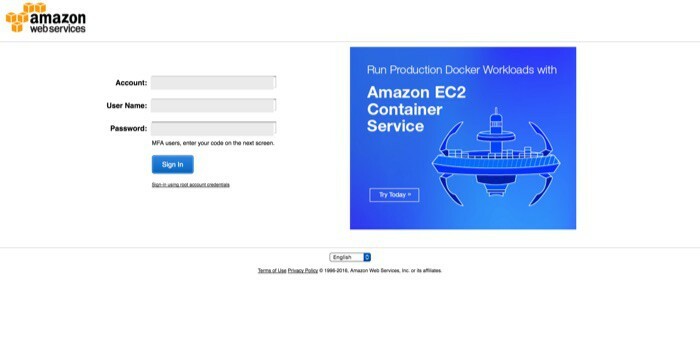 Scan that code, and you’ll create a link between your phone and AWS. Your phone will show you a series of six-digit codes that change. To complete setup, enter one code, wait for it to change, then enter a second code. Take note of the log-in URL. 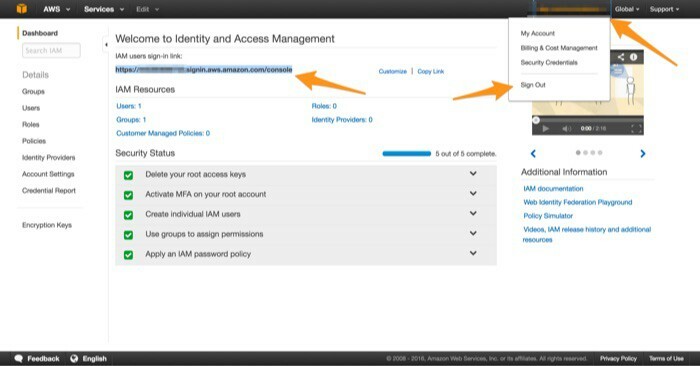 From now on, you’ll need to log in there instead of the generic “amazon.com/aws” login. Maybe bookmark it? 10) Log out of root, log in as you. Enter your username and password, and you’re in! 11) Wait, something is missing! 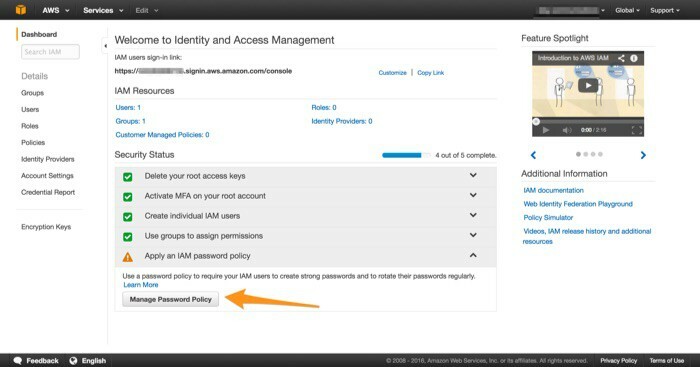 Did you notice how you didn’t have to enter in your Multi Factor Authentication code? Cloud security fail! That’s because you only set that up for root! Now you need to set it up for your user. THIS IS THE FIRST THING YOU SHOULD DO, and that any user should do. 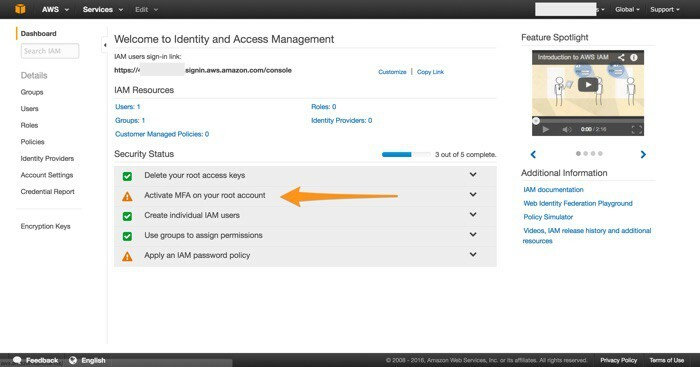 Click into “Users” and then the user that needs MFA. Follow the same process that you used for the root account. Click into “Users” and then add a user. Make sure to keep track of those access keys! You’ll need to communicate them later. 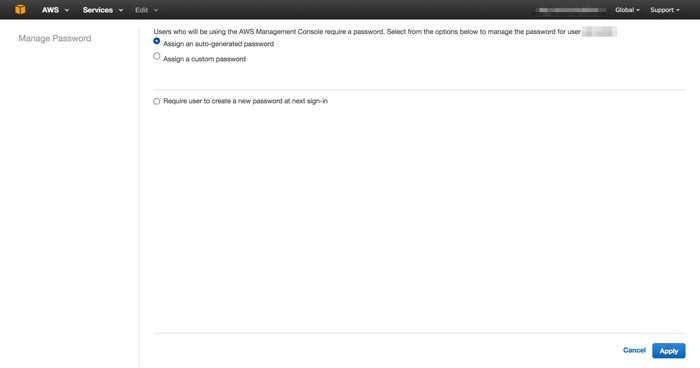 Also set up a new password for each user, and make them change it when they log in. 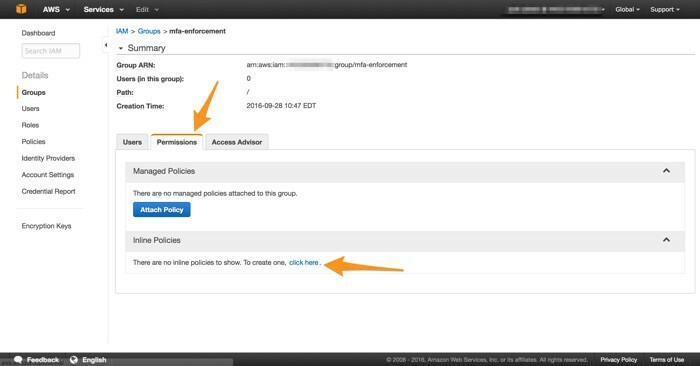 I like to create a group called “mfa-enforcement” that ONLY lets new users set up MFA. THIS IS A CRITICAL STEP. DO NOT SKIP IT. Create a new group, but don’t attach any policies to it. For starters, this will be an empty group. Next, click into the group you just created. 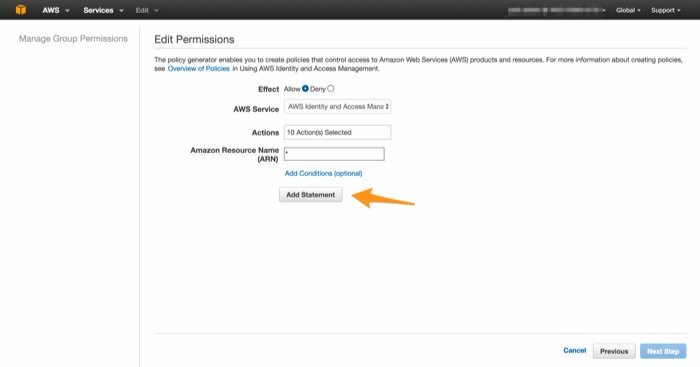 Go to “Permissions” and then “click here” to create an inline policy. Use the Policy Generator, set Effect to Allow. One thing that’s tricky is the “Amazon Resource Name (ARN)” field. Just put an asterisk in this field, and it will automatically apply to all users in all regions. On the next page, click “Apply Policy”. Now go to the Users tab and add the users to this new group. 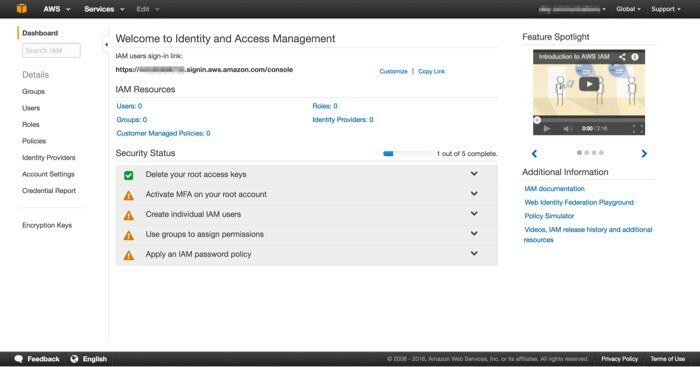 ALL it should let them do is log in and configure their MFA. 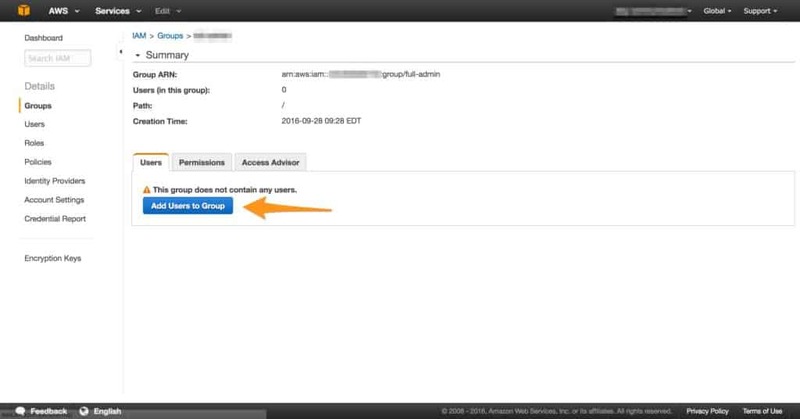 Now that you have your users set up, logging setup, and multi-factor authentication setup, you can safely start using Amazon Web Services! Cloud security win! There’s lots more to do. Future articles will cover further logging, user management, and starting servers and storage securely. Would you like help moving your business to the cloud? Want to make sure your move is safe, secure, and HIPAA-compliant? Talk with an Adelia Risk consultant to learn more.